Gingivitis vs. Periodontists – What's the Difference? Gingivitis vs. Periodontists – What’s the Difference? Healthy gums are not just a foundation for a strong smile, but they are also the key to building immunity and preventing long-term illness. Conversely, unhealthy gums can cause all kinds of problems, can be extremely painful and can be an indicator of other health issues far from your mouth. Problems with gums run on a spectrum from troublesome to dangerous. There are two primary conditions which are on that spectrum: gingivitis and periodontitis. The former is a gum condition which can lead to the latter, if not addressed and treated properly. Both are commonly referred to as “gum disease,” but it is periodontitis which is the true disease, while gingivitis is more a prelude to disease. Gingivitis refers to inflammation of the gums caused by a buildup of plaque around the teeth. Plaque is a sticky, invisible substance that develops on the teeth when sugars and starches in food and beverages come into contact with normal mouth bacteria. Plaque develops quickly, which is why brushing and other good hygiene habits are crucial to its prevention. If plaque is allowed to remain on teeth, it can inflame your gums and produce bacteria and toxins which in turn infect your gums with gingivitis. Inflamed gums indicative of gingivitis can be tender, ultra-sensitive and bleed, even with gentle brushing. Gingivitis can also cause bad breath among other problems. But if gingivitis is aggressively attacked before it progresses to periodontitis, it is treatable and reversible. With gingivitis, there is no serious bone or tissue damage, and your teeth remain firmly planted in their sockets. If, however, your gum problems continue untreated and unabated, serious and permanent problems can develop. This is periodontitis. If the same plaque that leads to gingivitis continues to grow, it can spread far below the gum line. The plaque then causes the inner layer of the gum and bone to pull away from your teeth, creating small spaces which can collect debris and become further infected. As it spreads, the infection starts to deteriorate the connective tissue and bone that hold your teeth in place. Teeth then become loose and are likely to fall out. In fact, periodontitis is the leading cause of tooth loss in adults. Scheduling a dental cleaning every four to six months. You can read more about how you can avoid gum disease here. 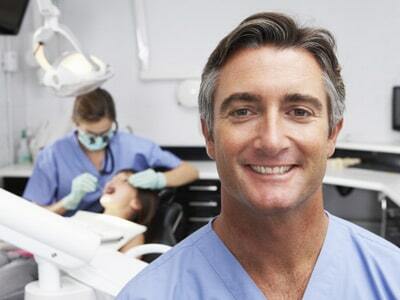 At Assure A Smile in Miami, we not only treat teeth and gum problems when they arise but work to help our patients avoid them in the first place. To learn more about the importance of holistic dentistry and how to develop healthier habits for a better you, please contact us today at 305-274-0047.